USA customers: We accept Money Order and Paypal. International customers: Paypal and credit cards ONLY. We do NOT accept cash in mail. Any questions please email us and we´ll respond within 48 hours. Q: I forgot my PayPal password so how can I pay you? 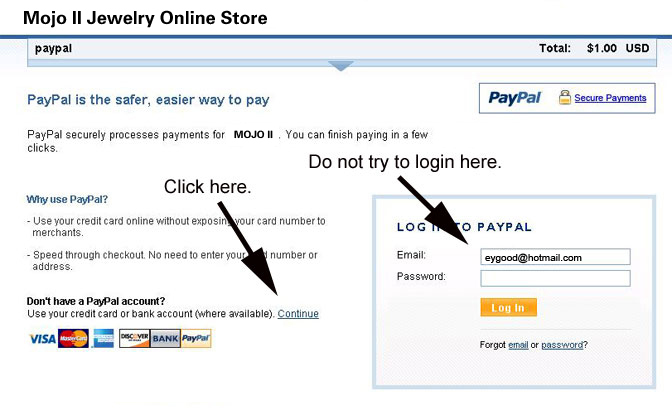 A: When you proceed through MojoII checkout, you´ll be prompted to login to your PayPal account. If your login attempts are unsuccessful you´ll be automatically redirected to a secure page where you can enter your credit card information. 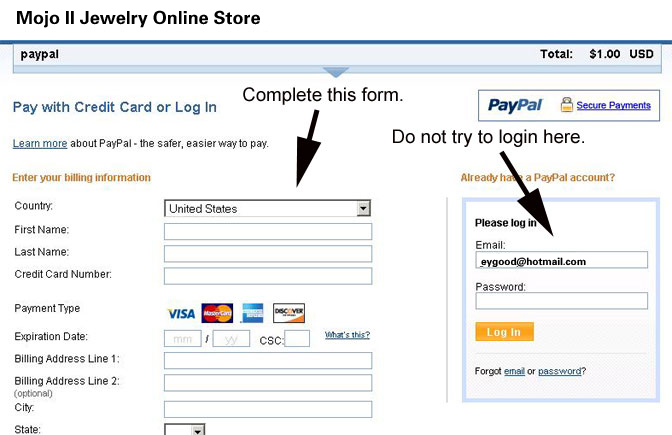 After you´ve completed that process, you´ll be able to recover your PayPal password by using the online password recovery tool. 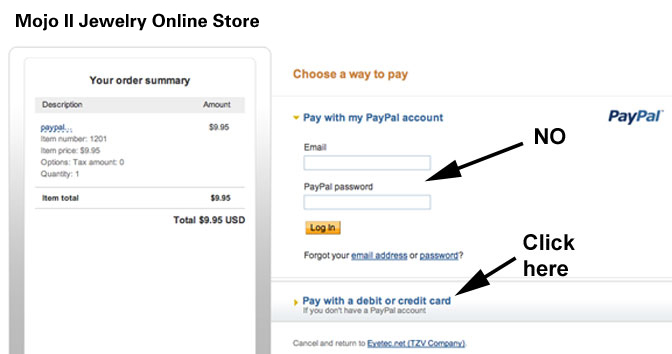 Q: How do I pay you if I don´t have a PayPal account?